BORDER police have fended off a further onslaught, as more than 1,600 migrants attempted to cross from Morocco into Ceuta. One group of migrants approached the Tarajal border at dawn, while hundreds more tried to scale the 6-metre-high fence at another point nearby. 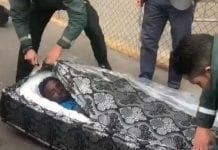 “None managed to cross,” said a government official in Ceuta, adding that one group turned back after seeing the first group’s failed attempts. On February 28 more than 200 migrants stormed the border into Melilla, in what Spanish authorities called one of the largest such crossings in years. Tensions have been increasing over recent weeks, after border police were accused of firing rubber bullets at migrants, in an incident where at least 14 migrants drowned. 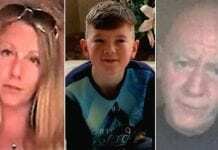 The row between Brussels and Spain escalated on Monday, after the Spanish government hit back at the European Commission for its criticism over the migrant deaths. 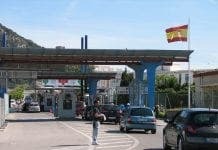 The Spanish government has demanded €45 million from Brussels, as an emergency fund to heighten security measures at the borders.